Waldkirch, November 2018 – At the SPS IPC DRIVES trade fair held in Nuremberg from November 27 to 29, 2018, SICK (hall 7A, booth 340) is due to introduce nanoScan3, its new, ultra-compact safety laser scanner, for the very first time. This product will be launched in 2019 and combines smart safety functions with excellent measurement data quality for an accurate and reliable localization. The extremely space-saving sensor, which boasts an overall height of just eight centimeters, is used wherever machines and vehicles require maximum performance but have minimal mounting space. Small housing, large functional scope, and a design that is both suitable for industrial use and easy to integrate – the nanoScan3 is the ideal addition to the SICK range of safety laser scanners. It is based on the successful microScan3 technology. 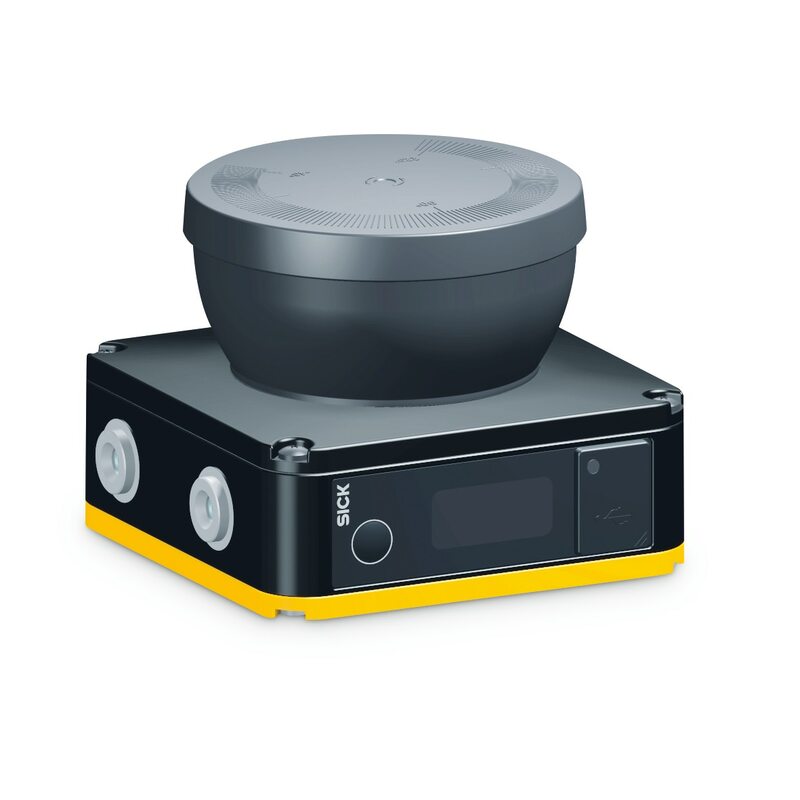 This 2D safety sensor is characterized by programmable and dynamically adapting protective fields, measurement data output for navigation support and proven scanner and evaluation technologies that guarantee maximum detection reliability even when subject to challenging ambient conditions such as dust or dirt. Being only 101 x 101 x 80 mm in size, the nanoScan3 opens up potential applications where space is extremely critical; in particular, these include mobile intralogistics and mobile assistance and service robotics with autonomous transport platforms and carts, as well as collaborative robots (cobots). What’s more, the nanoScan3 is setting a new standard in this market segment with its price-performance ratio. From a technical approval perspective, the nanoScan3 fulfills Type 3 according to IEC EN 61496-3, SIL2 according to IEC 61508, and SIL2CL2 according to EN 62061, Category 3, as well as performance level d according to EN ISO 13849. The ultra-compact nanoScan3 safety laser scanner with an overall height of just eight centimeters is the perfect choice for a minimal mounting space.